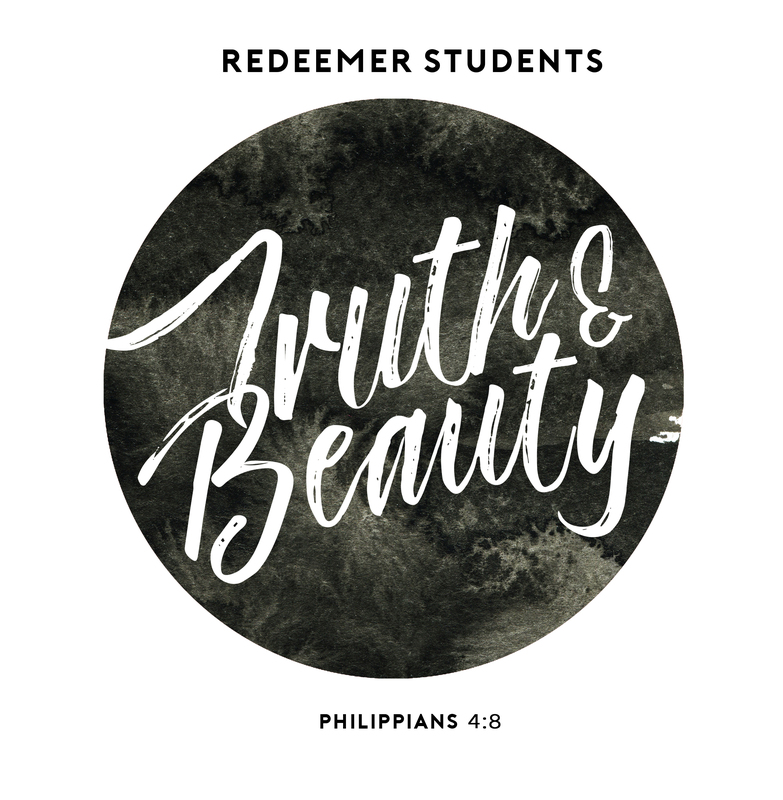 As the Student Ministry kick-offed the new school year a couple of weeks ago, we began our Truth & Beauty series with a look at the truth and beauty of Jesus. My attention was drawn to this story in Luke chapter 8. Jesus is on his way to heal a dying girl when the crowds became so large “they almost crushed him”. There was a woman there who, apparently fought her way through the crowd, because she was so desperate to touch even just the edge of Jesus’ cloak. The text tells us she’d been bleeding for 12 years and no one had been able to heal her. When she finally made her way to Jesus and touched his cloak she was healed. Jesus knew that someone had trusted in his power and demanded they speak up about it. The woman came clean in front of the crowd and explained why she did it and how she was instantly healed. What? Rewind a few thousand years in God’s story and stick with me…scripture is so beautiful! As a visual reminder to obey his word and be the people he created them to be, God instructed Moses to have the Israelites attach tassels to the corner of their Garments. The Hebrew word for corners is Kanaf. This is the reason that throughout the Old Testament and even today you see orthodox Jewish people wearing prayer shawls. To obey this text. There’s noteworthy use of this idea all throughout scripture but pay attention to this particular instance in Malachi 4:2. The prophet speaks of the coming Messiah, saying, “The sun of righteousness will rise with healing in its wings.” The word he uses for “wings” is kanaf. You with me? So Jewish people began to put these things together and believed that when the promised Messiah came there would be special healing powers in his kanaf, in the tassels of his prayer shawl. Okay, back to the future. Re-enter: Jesus. Jesus was a Torah-observing Jew which means he keeps the commandments, was familiar with Numbers 15, and would have been wearing a prayer shawl. The idea is that this woman believed Jesus to be the one Malachi was talking about. She believed that Jesus would have healing in his wings, his kanaf. She touches his tassels and is healed, just as Malachi proclaimed. Jesus sends her off, “Daughter your faith has healed you. Go in Peace”. “Peace”, shalom, is what Jesus speaks over her. Shalom is complete, full, wholeness with God. The word doesn’t just mean absence of troubles or pain in life. Shalom requires God’s goodness to have fully overcome your being. Physically, spiritually, and mentally restored, this woman has encountered the Christ of whom all of her Old Testament tradition spoke. She is fully healed. She lives in peace! Shall we chase Jesus down through the crowd, then? By faith in him we are welcomed into the same shalom, full salvation, for the future, yes, but also for the here and now. Restoration is yours in Christ. The sun of righteousness has risen with healing in his wings. As we approach a season at Redeemer where we will focus on prayer, I propose a challenge. One of the ways we can “touch the edge of Jesus’ cloak” in faith is through prayer. Let us pray for this shalom in our lives to live as the people God has called us to be. Let us be extravagant givers, dedicated friends, sacrificial partners, peacemakers, gracious, strong and confident followers of Jesus. Pray that God gives you what it takes to bring that healing shalom to the people he has put in your life. Can you imagine the High Desert filling up with people like that? What does that look like? Pray with me.